Our team at ConfiDenT would like to wish you a very Happy New Year. We are honored to be entering into another year of serving patients, like you, at our office with our affordable and modern dental care. If you’re not feeling very happy about the beginning of 2019, could it be due to nagging tooth pain that you’ve been experiencing? Tooth pain never comes at a convenient time. It seems to interfere with activities and daily, necessary routines such as sleeping, eating and chewing. Tooth pain can be due to a variety of dental reasons. Did you know that you could also be experiencing tooth pain if you are suffering from a sinus infection? During this time of year, sinus infections are quite common. Tooth pain that is related to a sinus infection usually is confined to your upper teeth due to their close proximity to your sinus cavity. During a sinus infection, your sinus cavities get inflamed and mucus and pus get blocked inside of them. The pain that is a result of a sinus infection is called “referred pain” because the pain originates and spreads from your sinus cavities because of a sinus infection. Sinus infections can also lead to bad breath and dry mouth as well. These two issues have the ability to cause further dental issues too. For these reasons, it is important to book your appointment at ConfiDenT if and when you experience tooth pain this winter. 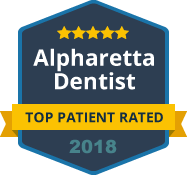 Our professionals will help diagnose and treat the source of your pain to give you the relief and dental health you deserve and need. Call and book your appointment with us today.